Have you ever read a mutual fund prospectus? A summary prospectus is what the name implies -- a summarized version of the full prospectus. If you have read a prospectus, you would be in the minority of investors who can even say what it is and what it is used for. In fact, some who have read a prospectus might say its best purpose is a sleep aid. And an effective one at that! Fortunately, for those investors who actually want to analyze a mutual fund and be responsible before buying shares, there is a lighter read, called a summary prospectus. Not to be confused with profile prospectus or statutory prospectus, the summary prospectus offers an improvement over the full length mutual fund prospectus that is often confusing and muddled with legalese. The modern summary prospectus rules were effective on February 28th, 2009, and all mutual funds have followed these standardized regulations since January 1, 2010. 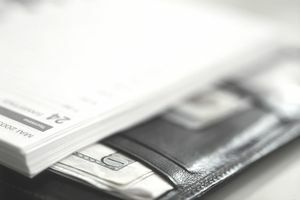 Since the full prospectus is not easy to understand for the everyday investor, the summary prospectus rules require that mutual fund companies provide investors with a brief summary (generally three to four pages) -- in plain English -- of the key information that will allow investors to make informed investment decisions about the respective mutual fund under consideration. The SEC also adopted a rule that allows a summary prospectus to satisfy prospectus delivery requirements as long as the summary prospectus, the full, statutory prospectus, and other required information is available online. For this reason, you don't see those pesky little paper booklets anymore (for those of you who have been investing more than 10 years that might remember the old prospectus). What's In a Mutual Fund Summary Prospectus? Requiring mutual fund companies to offer the summary prospectus was a beneficial step toward transforming the complexities of investing in mutual funds into a more simple, accessible format. However, investors can also find the basic information about mutual funds, such as the investment objective, the fees, manager background, and past performance, on websites that do all of the homework for investors and provide that information in an understandable way. Some of the best websites to research mutual funds include Morningstar, Lipper Leaders, Kiplinger Mutual Fund Finder, FundReveal, and MAXFunds. Each site has its own look, feel, and specialization. So it's a good idea to look at each one to see which research site suits your needs the best. And returning to the idea and purpose of reading the summary prospectus, it's much easier to read than the full prospectus; so investors are smart to read it, in addition to researching on websites. Once you do your homework, you'll be confident you've made the best possible choice before buying mutual funds.